CashflowÂ is the lifeline of any enterprise, whether you consider yourself an entrepreneur, small business owner or simply someone making some extra cash on the side (a “side hustle”). When your cash flow runs out that’s when you give up and call yourself a failure, but fact of the matter is you just weren’t taught the right business skills to keep going. Now here’s the thing – if you want to improve your results then you’ve got to take consistent action, and you’ve got to be prepared to do the things that you know that you should be doing that will move you closer to getting clients and increasing your income. Stop wasting time doing “busy” work and do the work that actually matters. 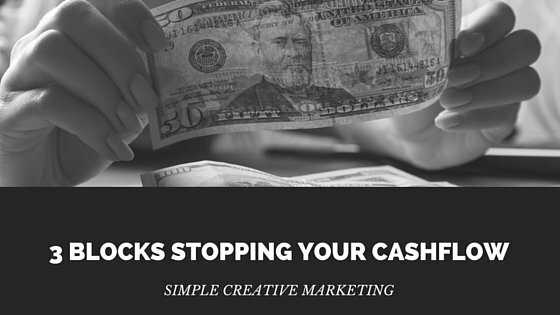 The top 3 blocks that creative entrepreneurs face that limit their cash flow. 3 strategies to overcome each block and generate more income for your business. I also invite you to join my 30-day Get More Clients challenge if you need support and accountability to create cash flow in the next 30 days. Watch the video now if you haven’t already. What’s ONE thing that you need help with in the next 30 days to improve your results and get more clients? Comment below and let me know so I can support you!